British rider Cal Crutchlow is determined to bounce back from his crash out of podium contention in Catalunya earlier this month with a return to the top five in this weekend’s Assen clash. 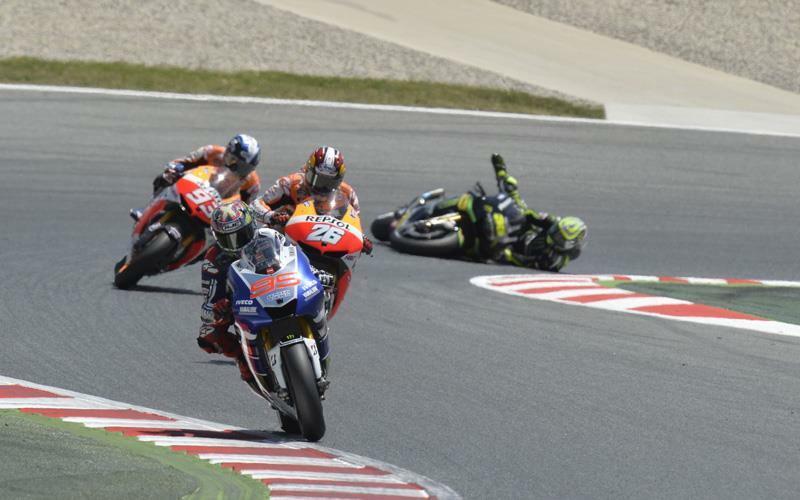 The 27-year-old failed to finish for the first time in 2013 when he tumbled out of the early stages in Barcelona while battling behind dominant Spanish trio Jorge Lorenzo, Dani Pedrosa and Marc Marquez. Crutchlow still maintained fourth place in the world championship standings after back-to-back podium finishes in Le Mans and Mugello and ahead of this weekend’s historic Dutch TT he told MCN: “Barcelona was a disappointment and I am not overly pleased about it. "I was disappointed and at the time I thought I am still fourth in the championship but the more I think about it I could have had a good fourth place there and got some good points. "But I can’t ride around thinking I was going to let that top three get away and I will try and catch them at the end of the race because it doesn’t work like that. I had to push and unfortunately I pushed too much. This weekend’s Dutch encounter is the start of a hectic spell for the Isle of Man-based rider. He jets off on a promotional visit to the new track in Argentina on Monday before returning to Europe for the German MotoGP round, which is followed immediately by a trip Laguna Seca in California. The Argentina round is scheduled to join the MotoGP calendar in 2014 and Crutchlow will ride his Monster Yamaha Tech 3 YZR-M1 on the Circuito Internacional Termas de Río Hondo as part of a special promotional tour on behalf of Dorna. With his future the subject of constant speculation, Crutchlow joked that any information gathered on his YZR-M1 might be useless for next year’s race in case he is not riding a Yamaha in 2014.